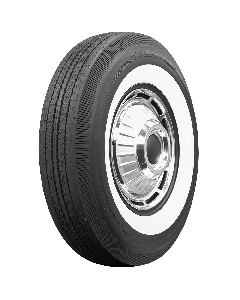 In the early ‘90s, Coker Tire saw the need for a wide whitewall radial tire in the automotive aftermarket. 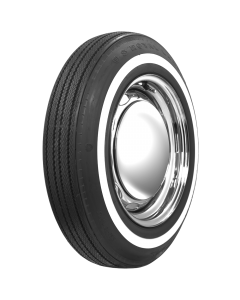 Consumers wanted a tire that performed better than the original bias ply tires, but still had the wide whitewall, so the product was carefully developed and made its debut in 1994. 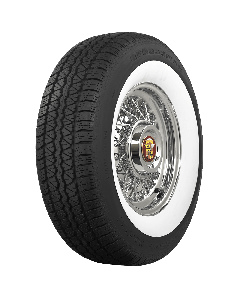 Before the introduction of wide whitewall radial tires, hot rodders and collector car restorers were limited to bias ply tires if they wanted the classic looks of a wide whitewall. 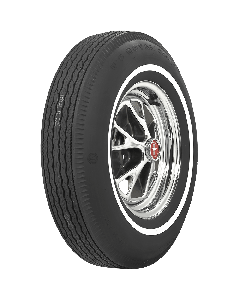 Since then, Coker Tire has continued to broaden its product offerings, with several whitewall radial brands, such as Coker Classic, BFGoodrich Silvertown and American Classic. No matter the brand or style, Coker Tire strives to offer the highest quality and safest specialty tires on the market. Each tire meets or exceeds all U.S. DOT and European ECE requirements. 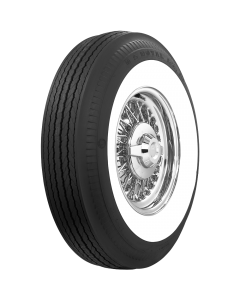 All of Coker Tire’s wide whitewall radials have the whitewall built into the tire during the manufacturing process. The whitewall is not added on as an afterthought—it is included in the manufacturing process at the factory. 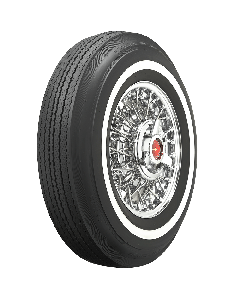 All whitewall radial tires from Coker Tire feature all of the necessary markings, including size, UTQG ratings, DOT numbers, etc. If it doesn’t have a brand or sidewall markings, it’s not a Coker Tire product! Coker Tire goes to great lengths to keep its tire molds in great working condition, while also using modern build materials. In addition to this, quality control is second to none, and each tire is inflated and tested for roundness before it leaves the factory. This makes for a safe and reliable tire. 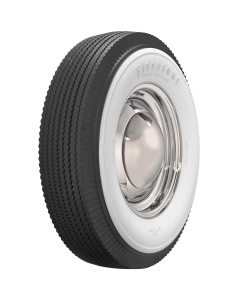 In fact, we are so confident that our whitewall radial tires will perform, we put a Life of the Tread Warranty on each one. That means we guarantee them to be free from defects in materials and workmanship for the life of the tread. Another aspect that makes Coker Tire the leading source for wide whitewall radial tires is inventory. We have thousands of tires in stock and ready to ship immediately from our 200,000-square-foot East Coast Distribution Center in Chattanooga, Tennessee. As a convenience to our West Coast customers, we even have a West Coast Distribution Center in City of Industry, California. 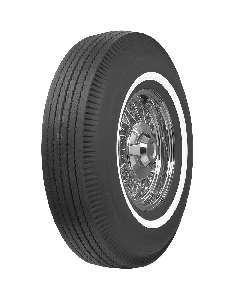 The wide whitewall radial tires have become the go-to tires for classic car restorations, custom cars, hot rods and many other applications, and Coker Tire continues to develop new tires and reach out to new markets with its outstanding products. 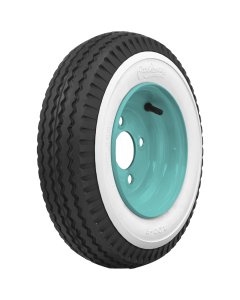 Check out the different brands and find the sidewall, tread pattern and price that matches your whitewall radial needs.